I was eating dinner last night, enjoying a lovely outdoor restaurant in a mountain setting in Asheville, NC when, ironically, I received the text on my iPhone. “OMG. 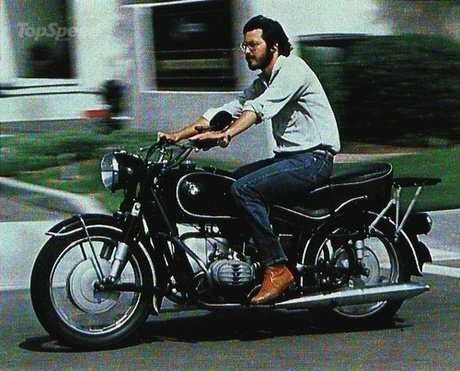 Steve Jobs died.” The text came from an acquaintance I’d not talked with in several months, but with whom I shared a love for Apple products. The news brought tears to my eyes. The din of the restaurant and the laughter and the clatter of forks and knives on fine china blurred and softened. I told Fred the only other public icon whose death so moved me was Jerry Garcia. What is it that Steve Jobs and Jerry Garcia had that could so affect me? Their creativity and lifes’ work touched me on a deep level and, simply, helped make me the person I am today. Really? Apple Computer and the Grateful Dead affected me to that degree? Well, maybe not Apple and the Dead, but the effect of the two…Apple taught me to design using a computer and Garcia broke my stereotype that a song’s identity was a track on an album. “There is nothing like a Grateful Dead concert.” That’s the key–every concert was a new experience and it was experiences that were celebrated. Apple’s motto, at least for a while, was “Think Different”. I guess that’s what Steve Jobs and Jerry Garcia taught me. I think that’s why I cried last night. Rest in peace, Steve and Jerry.